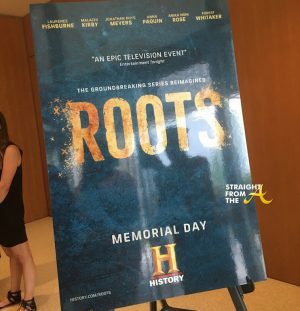 In celebration of HISTORY’s new miniseries, ‘ROOTS’, Cast Member Tip “T.I.” Harris and Executive Producer Will Packer hosted an advance screening of the first episode of the show last night (Monday, May 9, 2016). 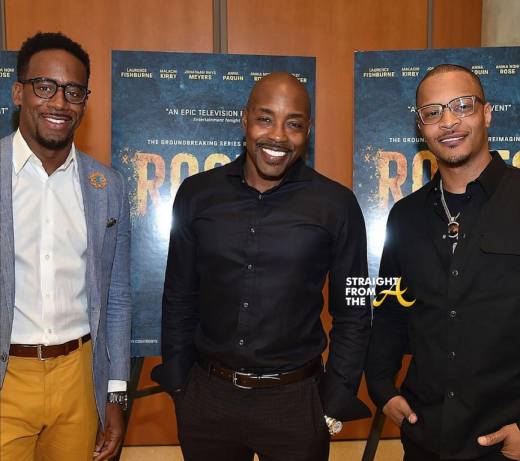 Following the screening, which was held at Atlanta’s Center for Civil and Human Rights, guests were treated to an eye-opening panel discussion moderated by BET and The Rickey Smiley Morning Show personality Jeff Johnson. T.I. ; Will Packer; Ed Lover, Hip Hop legend & host of the nationally syndicated “The Ed Lover Show”; V-103 morning show personality Ryan Cameron of The Ryan Cameron Morning Show; Dr. Samuel Livingston of Morehouse College and President of the Atlanta chapter of the National Action Network (NAN), and Tamarre Torchon all shared their insight on the importance of re-telling the story of ROOTS in this day and age.